Both on paper and from their very first records, Emptyset have been worth watching since the beginning. Emerging in 2007 on the little-known Future Days label making stark, minimalist and industrially-laced techno far before it became fashionable, Paul Purgas and collaborator James Ginzburg - the latter already well known as head of Bristol's Multiverse studio/label complex, as well as his bass music discography as Ginz and more - quickly attracted attention, and started releasing music through October’s creatively-wandering Caravan label. Freed of constraints for their first full length, the pair found their footing – as well as their first Pan Sonic comparisons – in their challenging, suite-based self-titled debut, which sent them on a no-looking-back quest to contort and complicate the rules of their own work. Since then, things have moved briskly: site-specific sound installations, recordings of which were through the Multiverse-associated Subtext label; increasing discussions of architectural concerns in their interviews; and, finally, their appearance on Raster-Noton, a label whose past form for bridging between gallery and dancefloor seems an ideal fit for their endeavours. If anything, Emptyset are actually amongst the label’s more obtuse acts; while certain others in the roster flirted with Sandwell District-esque ideas of hard hitting, industrial-influenced but inherently melodic and danceable music, Purgas and Ginzberg have relentlessly deconstructed their sound and reformed it into increasingly twisted configurations. Weighing in at scarcely over half an hour, their third album Recur may barely exceed the length of many EPs, but it dramatically sharpens the force of their strike. 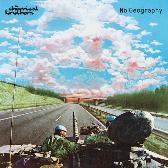 Gone are the barest reminders of the techno tropes that briefly landed them on the CLR label; likewise none of second album Demiurge’s messy sonic signature remains. Medium and Material found them expressing their interest in physical spaces - setting up speaker rigs to pass sound through a dilapidated mansion, a concrete bunker, a decommissioned nuclear plant and more, and capturing the resulting imprints on recording. Here the spatial interest remains but is wound up into a wild, barely-rhythmic lurch that shifts before the listener can quite grasp its form. 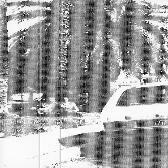 Collapsed, their previous EP for Raster-Noton, while hardly an easy record, was reducible compared to this, and its beats were more regular and repeating. Here, slowly eroding rhythmic patterns rub against dramatic whiplash use of reverb and panning, deliberately spatialising the harsher sonic elements to further confront the listener. Whenever a cycle repeats enough times to almost nod to, a dramatic pause or cutoff intercedes, often combined with an outburst of industrial strength noise. The pieces themselves are deliberately short, and even then some of them contain two or more contrasting sections. 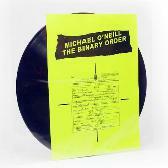 The longest, 'Order’ is actually the album’s single most stable point, as an understated 4/4 pulse accompanies a gradual rise in frequency of the sampled noise, alongside intensifying sequenced outbursts of feedback, until it reaches a nearly-unbearable climax. Even the heavily processed, in-the-jet-engine hum of 'Absence’ gradually accomplishes both regular movement and speaker-shredding noise intensity. Between the technical bravura of their sonic sculpting and the intentionally confounding rhythmic shifting, the music on Recur invites comparison to some of the more violent developments in breakcore or a few of metal’s most musically adept and electronically-oriented bands. 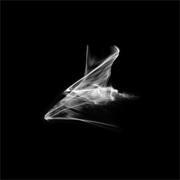 To some extent, the parallels are deliberate; based on the odd time signatures employed on the previous EP, Emptyset are clearly embracing technical musicianship. However, compared to that and all of their previous efforts, they’ve honed every sound and gesture on Recur to a razor’s edge, and it makes for a thrilling if difficult ride, as well as their weightiest and most complete statement of intent yet.